Gatherings with friends and family around the holidays are one of my favourite parts of the season. 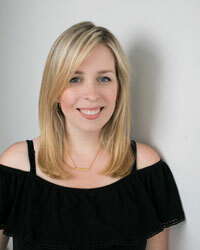 Whether we’re attending parties or hosting guests ourselves, it’s so nice to see everyone this time of year. 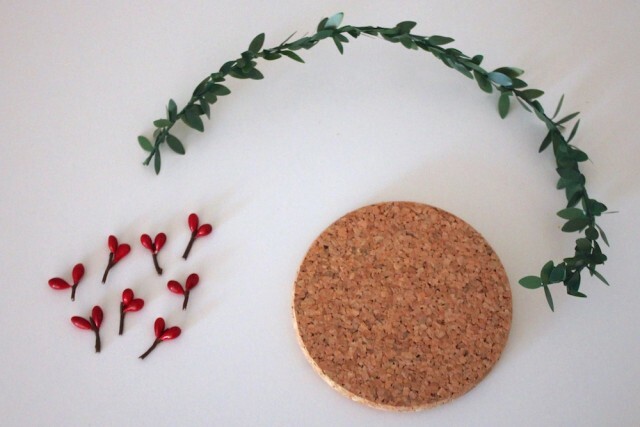 For this month’s Makeful Challenge, they sent out sets of cork coasters to decorate for the holidays. 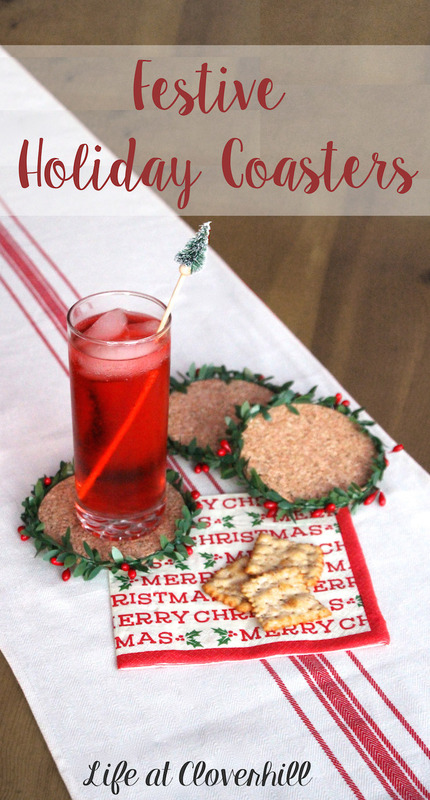 I came up with these Festive Holiday Coasters using faux garland and berries. 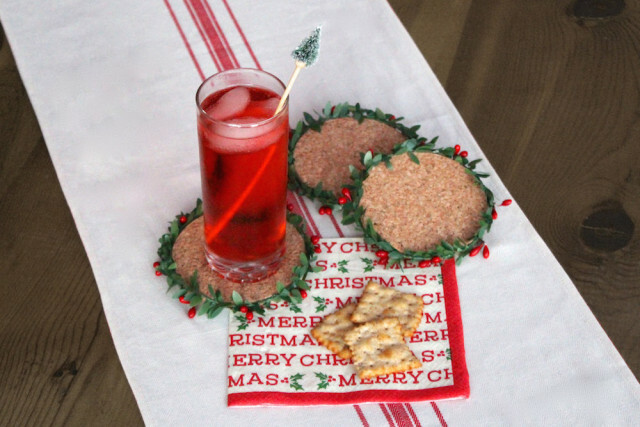 They’re great to serve your holiday cocktails on or to wrap up as a hostess gift! 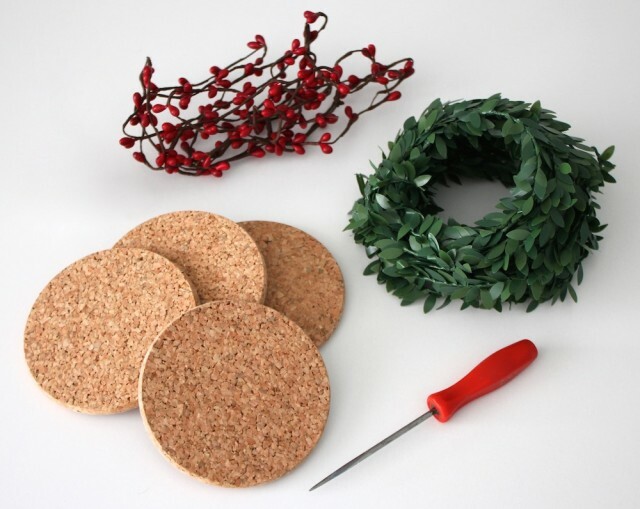 With just simple craft supplies and a few minutes, these are a fun inexpensive way to add some festive decor to any occasion. I fell in love with this faux greenery as soon as I saw it and couldn’t wait to add it this project. 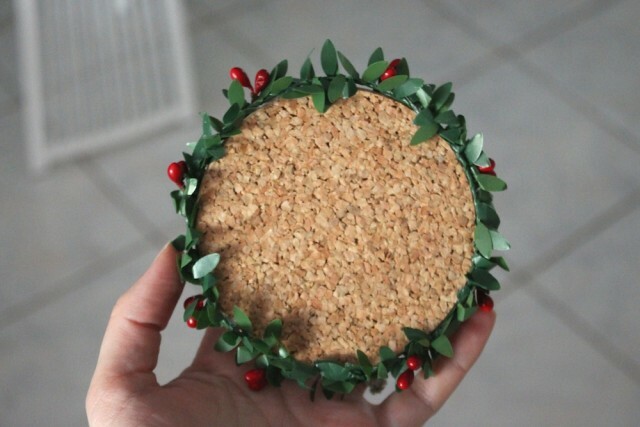 For each coaster, you’ll need 8 sets of berries and enough greenery garland to completely wrap around the outer edge with a little overlap. The berries I found were on one long wire. I snipped them at the top of each cluster and then left a little stem on the bottom, to help it adhere better to the coaster. 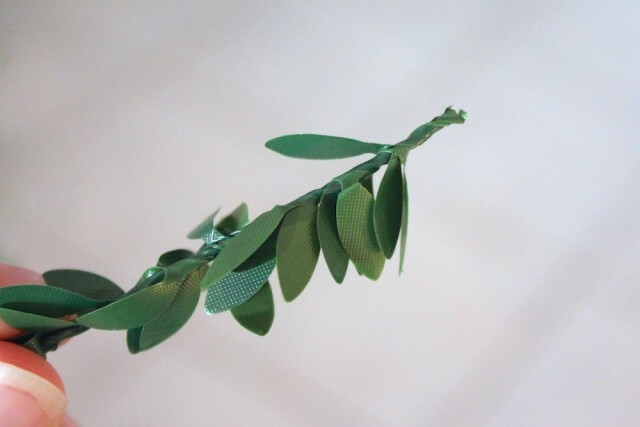 Strip the leaves off both ends of the garland. 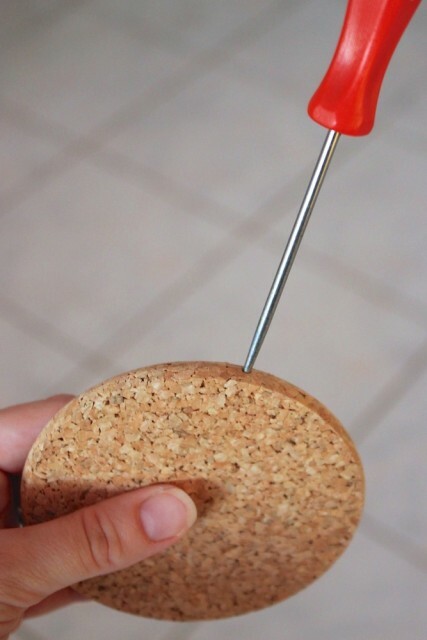 Using the awl, carefully poke a hole along the edge of the coaster. Make sure to go in perfectly straight or you may poke out of the top or bottom of your coaster. 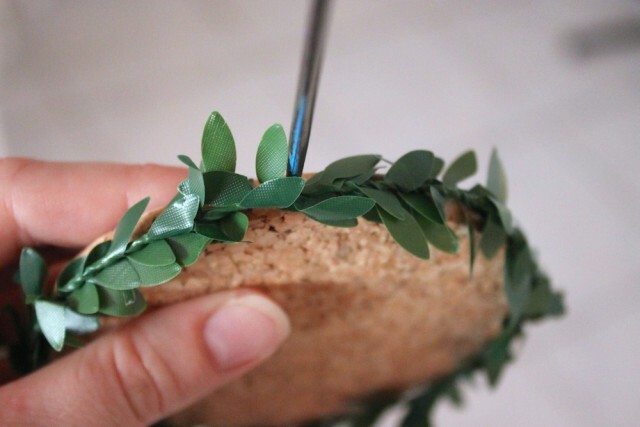 Insert one end of the garland into the cork. Secure in place with a dab of hot glue. 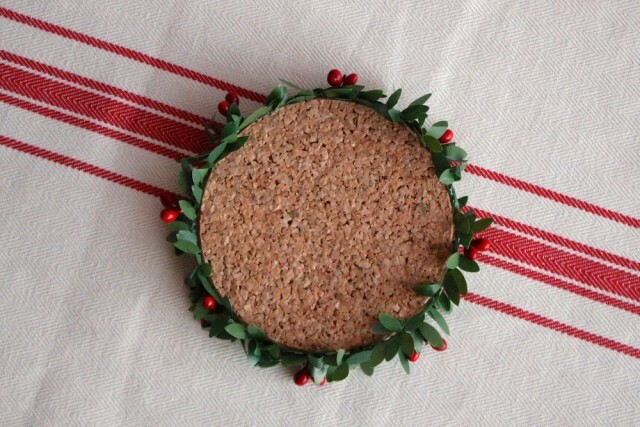 Place small beads of hot glue along the edge of the coaster, as you wrap the garland in place. Take extra care when using the hot glue, as the metal wire can hold the heat longer than expected. 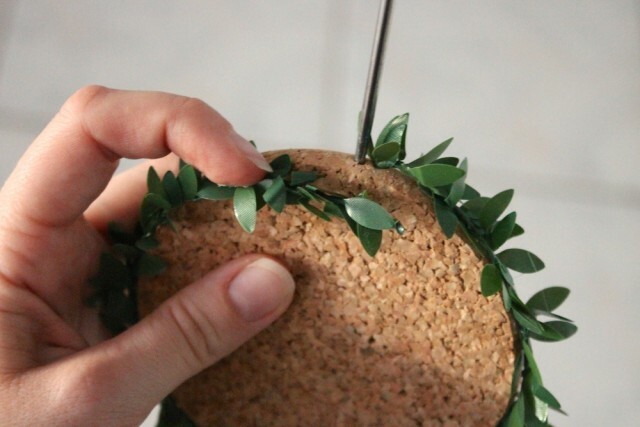 When you get to the end of the garland, poke another hole along the side of the coaster and insert the wire end. 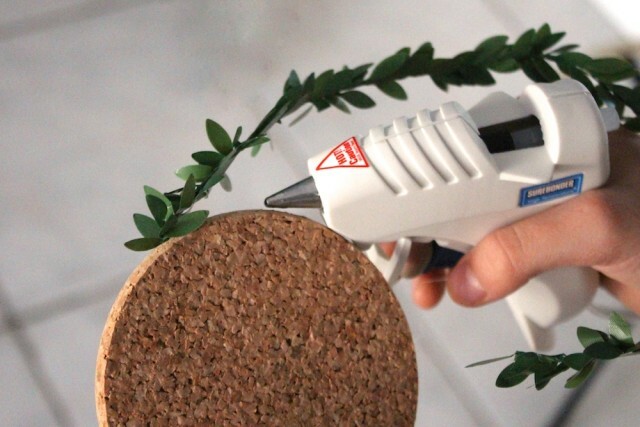 Use a dab of hot glue to hold it in place. Now it’s time to add the berries! Use the awl to create a hole that is wide enough and deep enough for the berry stem. Insert the stem and secure with a dab of hot glue. Continue in regular intervals around the coaster. I placed 8 clusters of berries on mine, so it was easy to see where I needed to place the next one. I love how these turned out and they were easier to make than you’d think. 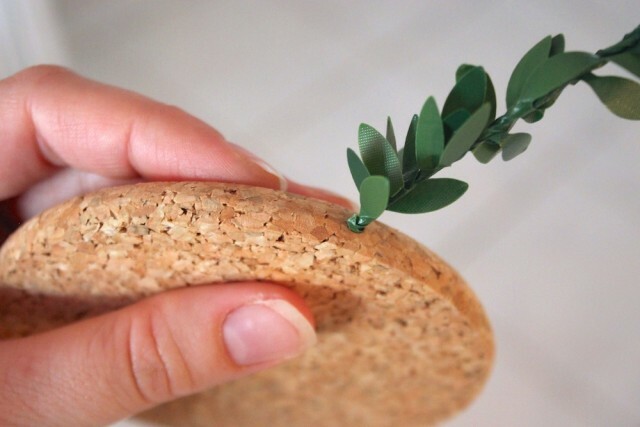 Whether you keep them for yourself, or give them as a gift, they’re a fun holiday craft to get you into the spirit.